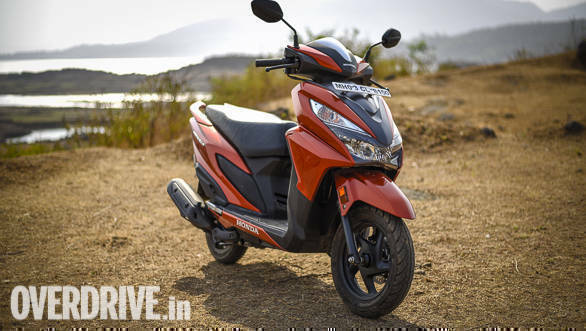 Honda Motorcycle and Scooter India (HMSI) has announced that sales of its latest 125cc scooter Grazia crossed the 2 lakh unit mark in less than 11 months of its launch in November 2017. The Grazia is sold in six colours and three variants with prices starting from Rs 58,133 (ex-showroom, Delhi). The Honda Grazia 125 is based on the Honda Activa 125 but has a snazzier design to it. Earlier this year, the scooter had registered one lakh sales within five months of its launch. It competes with sporty scooters including the TVS Ntorq 125 and the Suzuki Access 125. It comes with an industry-first all-LED headlights, fully digital instrument cluster and utility storage space for a phone in the front apron with a cover as standard. The Honda Grazia goes up against the Suzuki Access 125 and the Vespa VX 125. 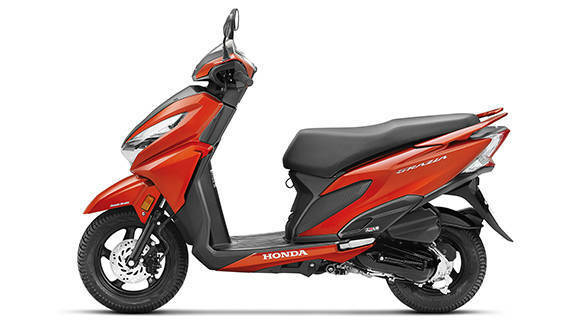 The Honda Grazia is powered by a HET equipped 125cc engine that makes 8.52PS of power and 10.54Nm of torque. The claimed fuel efficiency is around 50kmpl. Honda has equipped the top-spec, Deluxe variant with a front disc complete with the combi braking system. It ensures that equal braking force is distributed between the front and rear. The scooter also gets a 4-in-1 ignition and seat lock. Honda also offers front telescopic forks on the Grazia. There is also 18 litres of underseat storage. Yadvinder Singh Guleria - senior VP, sales and marketing for HMSI said, "Grazia offers a powerful performance with modern style and advanced attributes. The sales progress of Grazia reaffirms that customers are upgrading to Honda's latest technology and innovation."